Wales head coach Warren Gatland has been backed by his boss to lead the 2017 British and Irish Lions to New Zealand. Welsh Rugby Union chairman and selector Gareth Davies says that Gatland’s experience puts him in a strong position to lead the Lions next year. “Experience of doing something will stand you in good stead,” Davies told BBC Sport. 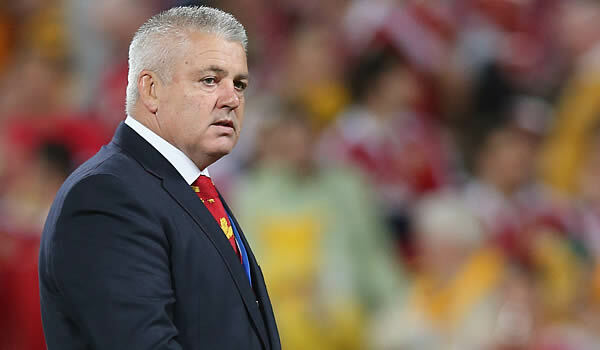 Gatland was an assistant Lions coach in 2009 and led the Lions to a series victory over Australia in 2013. Speaking to the BBC Davies said that Gatland had proved on the tour to Australia that he was not afraid to make bold choices. “He made some tough calls on that trip,” Davies said in an interview with BBC Radio Wales Sport. “The Brian O’Driscoll thing was world news and he also made a tough call before the tour in not taking Shaun Edwards, who has been his lieutenant from a defensive point of view with Wales and Wasps.